 Celebrity Limousine is very sensitive to the privacy concerns of visitors to our Web sites. Celebrity Limousine may use information collected from visitors to our Web sites for any of the following purposes (1) to perform the requested transporatation services (2) to send marketing and other communications to our visitors, (3) to allow Celebrity Limousine to inform visitors of upcoming events, promotions, or activities on our site, (4) to conduct internal reviews of our site (e.g., to determine the number of visitors to the site), (5) to help us better understand visitors' use of our site, (6) to respond to specific requests from our visitors, (7) to conduct marketing research, and (8) to protect the security or integrity of our site non-personally identifiable information will be used for purposes of conducting internal reviews of the site and to provide an enhanced online experience for our visitors. Celebrity Limousine will only transfer or otherwise disclose the information it collects from its site visitors to employees and independent contractors of Celebrity Limousine, subsidiaries and affiliates of Celebrity Limousine, consultants, and other business associates, service providers, and suppliers, if the disclosure will enable that party to perform a business, professional, or technical support function for Celebrity Limousine, or if required to do so by law. We will also transfer or otherwise disclose personal information in response to judicial process, and, as permitted under provisions of law, to provide information to law enforcement agencies or in connection with an investigation on a matter related to public safety.